Scone Grammar School prides itself on balancing excellence in academic, sport and the arts. While the SGS community extends far beyond our gates, investment in our School continues to provide our students and staff with an important sense of place. The School together with the Foundation appreciates the absolute necessity to plan and provide for its future. Buildings and facilities must be developed and updated, special educational projects will be undertaken and Academic and Music Scholarships awarded. 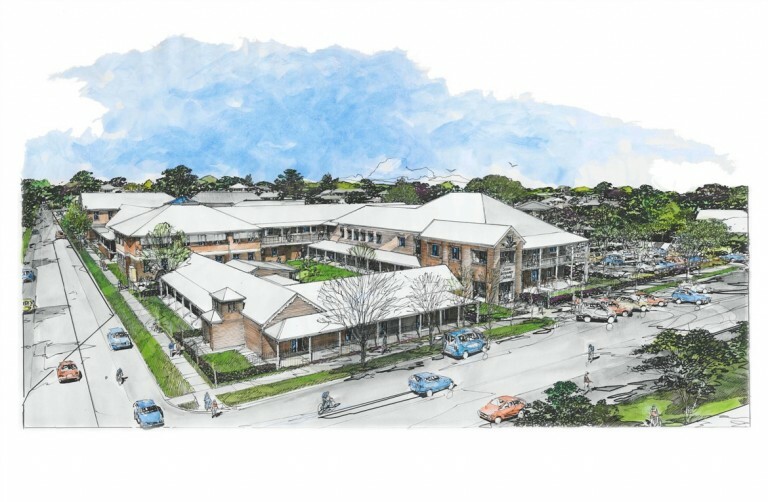 The School recently revised its Masterplan to accommodate the continued growth of the School. Critical to successful and sustainable school growth is the construction of a new Secondary Teaching & Learning Centre, including Administration space. In October 2014, the STLC Capital Campaign was launched announcing the School needs to raise $7.5 million. Please download the STLC brochure to learn more about this exciting project. Please remember, every contribution, no matter how big or small will help us move a step closer to making this vision a reality. Your gift will last a lifetime. Download STLC Donation Form here. All donations to the Building Fund are tax deductible. If you would like any further information on the Capital Campaign or how to make a contribution, please email Mrs Alice Forsythe in the Development Office.